Page created: 14-Feb-2011, updated 29-Jun-2011, 13-Jul-2011, 10-Aug-2011, 29-Aug-2011, 12-Sep-2011, 27-Sep-2011, 28-Sep-2011, 3-Oct-2011, 12-Oct-2011, 14-Nov-2011. 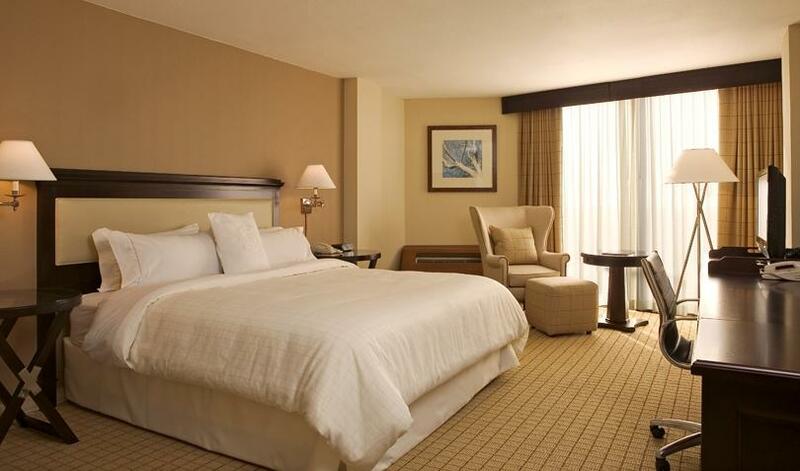 Hotel: Sheraton Dallas North, 4801 LBJ Freeway, Dallas, Texas 75244, USA. This hotel was the site of a major DRM symposium and quarterly meeting in November 2004 which was hosted by Continental Electronics. Guest room prices and conference fee will be listed here in the coming days. 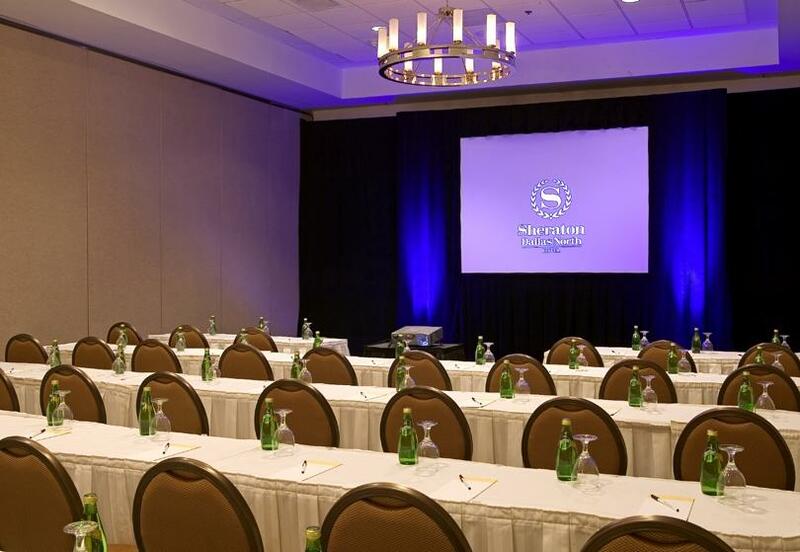 Hotel Amenities: Business center with free Internet access, free parking, free shuttle to Galleria Dallas Mall and anywhere within a five-kilometer radius of the hotel, swimming pool, hot tub, sauna and fitness center. Hotel staff speaks Arabic (Lebanese and Iraqi), Farsi, Spanish and Portuguese. Hotel Guest Room Amenities: Coffee-maker and free Starbucks coffee, two-line telephone, iron and ironing board, 32-inch flat-screen television, radio/alarm clock, hair dryer, high-speed Internet access (included at no extra charge). Location Details: The 14-story Sheraton Dallas North hotel is located in the heart of the North Dallas business corridor, surrounded by over 200 restaurants, and adjacent to the Galleria Dallas shopping mall with over 400 stores, more than 30 restaurants and an indoor skating rink. Alive with energy and rich in diversity, Dallas is a dynamic city with first-class attractions, a vibrant economy and beautiful surroundings. 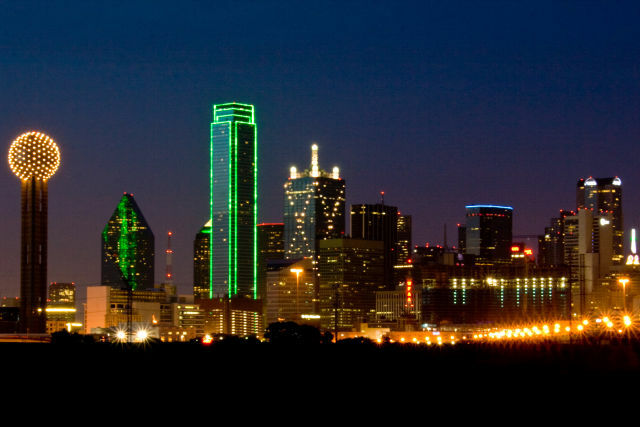 Dallas is a popular international destination. It is the ninth largest city in the US, with a population of about 1.3 million. In recent years, it has become a melting pot of cultures, religions and lifestyles. Twenty-four Dallas-area businesses are Fortune 500 companies, including Exxon Mobil, JC Penney, Texas Instruments, American Airlines, Radio Shack and Neiman Marcus. 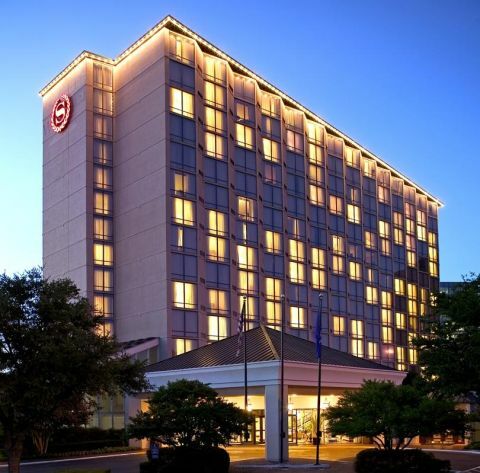 Transportation from Dallas Forth Worth International Airport to the Sheraton Dallas North Hotel - NEW: The least expensive option when you arrive at Dallas Forth Worth Airport is to take the SuperShuttle –a shared van service. The rate is approximately $18.00 per personone-way. However, please note that the van will probably carry several passengers with different destinations, so you will probably not go directly to the Sheraton Dallas North Hotel and the journey could take well over an hour. More information can be found at www.supershuttle.com, and online reservations can be made there. The hotel has advised us that a regular taxi from DFW airport to the Sheraton Dallas North Hotel costs around $50.00 one-way. The Sheraton has recommended to us a transportation service that charges $50.00 for one person and $5.00 for each additional person. So in other words, for two people the price would be $55.00 (i.e. $27.50 each), for three people it would be $60.00 (i.e. $20.00 each), etc. This way the price per person is quite reasonable, and this service will take you directly from the airport to the Sheraton Dallas North Hotel. If you would like to reserve this service, please e-mail us at info wrmi.net and we will make the reservation and confirm it for you. If there is anyone else from our conference who is arriving on the same flight, we can make a reservation for all of them in the same car or van, and the price will be lower for everyone. To make a reservation, just send us your name(s) and the date, time and flight number you will be arriving on. Send this information to info wrmi.net, and we will e-mail you a confirmation of your reservation. We can also make reservations for the return trip from the Sheraton to DFW airport if you send us those flight details. Weather: The Dallas weather is very pleasant in September, with average temperatures ranging from about 19-31 degrees Celsius. Local Attractions: Dallas has many historical, educational and entertainment attractions, including Six Flags Over Texas amusement park and Southfork Ranch, where the popular television series "Dallas" was filmed. One of the most popular tourist attractions is the Sixth Floor Museum with its comprehensive exhibition on the life, death and legacy of President John F. Kennedy, who was assassinated there in 1963. At the Stockyards National Historic District in nearby Fort Worth, you can see a real cattle drive and rodeo. Dallas-Fort Worth International Airport: Known as "DFW," this is the world's third-busiest airport, with over 1750 flights per day and 56 million passengers per year. Eleven domestic airlines and six foreign carriers fly from here to 138 domestic and 38 international destinations. The airlines include American Airlines (which is headquartered here), Air Canada, British Airways, Continental, Delta, KLM, Korean Air, Lufthansa, TACA, US Airways and United Airlines. International destinations served nonstop from DFW include Toronto, Calgary, Frankfurt, London, Madrid, Mexico City, Montreal, Paris, Rio de Janeiro, Santiago de Chile, Sao Paulo, Tokyo, Vancouver, Amsterdam and Seoul. Background about Continental Electronics: Founded in 1946, Dallas-based Continental Electronics Corporation (CEC) provides a full range of advanced radio frequency (RF) broadcast transmission equipment for broadcasting, military and scientific applications. It provides its customers in the commercial, defense, government and scientific industries with reliable high power radio products and customer service anywhere in the world. It has built hundreds of high-power HF transmitters for dozens of shortwave stations around the world. General Manager Adil Mina has extensive contacts with HFCC and ASBU members, and Continental Electronics has been a member of the NASB since it was founded. Continental Electronics has been a long-time supporter of DRM and member of the DRM Consortium's steering board. The HFCC/ASBU B11 Conference will offer a tour of the Continental Electronics factory in Dallas and a dinner sponsored by CEC. Organizing Committee: With the support of Continental Electronics, the NASB will handle the organizational details of the conference, with the leadership of Jeff White (NASB president), Thais White (NASB Assistant Secretary-Treasurer) and NASB Board members. The NASB has organized three previous HFCC/ASBU conferences: A05 in Mexico City, B09 in Punta Cana and B10 in Zurich. Visas: The Conference Committee will advise you if you need a visa to enter the United States, and we will help you as much as possible with visa applications and supporting documentation. In this regard, we urge you to contact us as soon as possible (starting immediately) if you have plans to attend, so you can begin the visa application process as quickly as possible. Meal Options: The Sheraton Dallas North Hotel offers an American-style buffet breakfast and buffet lunch for very reasonable prices. The hotel restaurant also serves dinner, but there are nearly 200 restaurants within a few kilometers of the hotel (free shuttle service is available), including around 30 restaurants in the Galleria Dallas shopping mall which is a few blocks from the Sheraton hotel. A free shuttle bus takes guests between the hotel and the Galleria at regular intervals every day. All types of international cuisine are available in Dallas, but the local specialties include Texas barbecue, steakhouses and Mexican food. Wednesday Group Dinner: The Wednesday dinner sponsored by Continental Electronics will tentatively take place at a popular local restaurant called Saltgrass Steak House. The restaurant's story dates back to the 1800s, when millions of Longhorn cattle roamed freely throughout Texas. With the taste for beef becoming a new-found favorite in the North, Texas ranchers prospered as never before. Each winter the Longhorn were driven to the Texas Gulf Coast to graze on the rich coastal salt grass. And when they headed for market, they followed the legendary Salt Grass Trail, known far and wide for creating the best beef in Texas. Saltgrass Steak House recaptures the flavor of the open campfire. steaks, chicken and seafood, chargrilled to perfection, complete with breads, soups, salads and desserts, made from scratch daily. Optional Sightseeing Tour: We will offer an optional sightseeing tour on Friday afternoon and evening, after the conference officially ends. The bus will take us to Fort Worth, the other major city in the Dallas-Fort Worth Metroplex, affectionately known as "Cowtown." We will see Fort Worth's cowboy heritage and culture during a city tour conducted by an English-speaking guide. The tour will include the historic Stockyards where the group will see an actual Longhorn cattle drive, followed by time to browse the Western handicraft, apparel and souvenir shops. Tour members will enjoy a genuine Texas barbecue dinner (or vegetarian alternative). Finally, the rodeo will feature bull riding, calf roping and other traditional cowboy activities. The tour price is USD 75.50 per person, which includes transportation, bottled water in the bus, the barbecue dinner, entrance fees, reserved rodeo seats, all taxes and gratuities. Texas Tourism: There are many tourist attractions throughout the state of Texas, such as NASA's Space Center Houston. If you have a few extra days, we highly recommend a trip to San Antonio, located four and a half hours south of Dallas by car. Among the many attractions in San Antonio are Spanish colonial missions, the River Walk downtown pedestrian area along the San Antonio River, and the Alamo fortress, where the battle of the Alamo took place 175 years ago. Galleria Dallas Mall: This is Dallas' premiere shopping mall, and it is located adjacent to the Sheraton hotel, with regular shuttle bus transportation (free of charge) between the hotel and the mall every hour from 7:00 am to 10:00 pm. Inspired by the Galleria Vittorio Emanuele in Milan, Italy, the Galleria Dallas has over 400 stores, 30 restaurants and an indoor ice skating rink. If you want Mexican food, try Mi Cocina, with a view of the ice skating rink. And for authentic Texas barbecue, go to Sonny Bryan's Smokehouse on the third floor of Macy's department store.